Touring bikes generally a harder compound is required as touring bikes are ridden long distances but are not ridden as aggressively so it is better to get a harder compound therefore giving the tire a longer life expectancy. 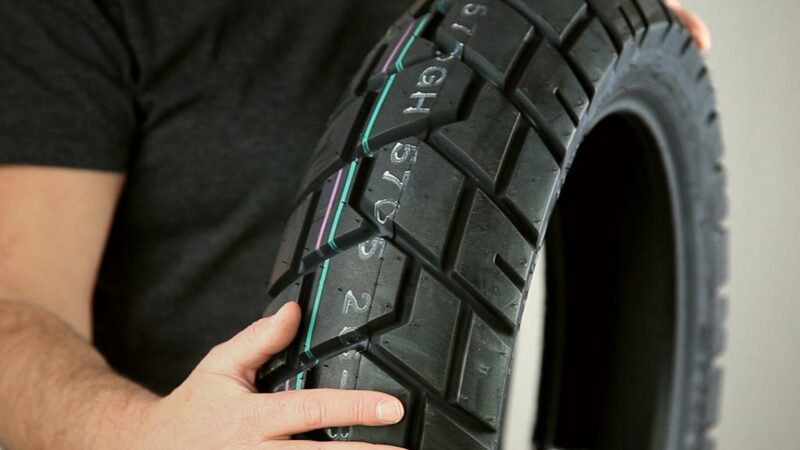 Sport bikes will want a softer compound tire to give the best handling possible. You will find there is varying degrees of soft compound motorcycle tires available, many being for the track as they are extremely sticky and not meant for road use. So, if you are looking for a good street tire for a sport bike the best selection is a soft compound tire that is made for aggressive street riding. There are many tire manufacturers available today. You may recognize Dunlop, Pirelli, Michelin, and Metzeler, all of which make excellent motorcycle tires. You will find different people swear by different brands. The bottom line is they are all quality manufacturers of tires and all are good, the choice is up to you. When it comes to choosing a motorcycle, tire don’t let the price be the biggest factor. Get a good quality tire designed for your riding style. If you a still not certain about choosing a right tire, come by at our stores (High Road Vancouver & High Road Langley) and we will be able to tailor a specific make and model to you bike, riding style and next adventure.